Just because it’s used it doesn’t mean you shouldn’t enjoy having a car just like a new one. Even more so, if I were you, I’d also bask in the glory of not being ripped off and paying for a depreciating liability that loses about a third of its value in the first year, if bought new. 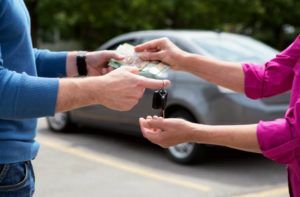 Please be aware that trading in your old car and purchasing another (used) one are TWO separate transactions. Just be aware that a dealer’s reason to exist is to make a profit on the cars they sell. I hope it bears no explaining that that ultimately means they’ve bought it for less than they’re selling it to you. What they bought it for, is ultimately the car’s value. Nothing wrong with them wanting to make a profit. Also, nothing wrong with you being informed and not letting them take advantage of you either. All I’m saying is that it should be fair for everyone. Alright, let’s get into the meat of the problem: this process revolves mainly around the finding and testing of a pool of cars that may or may not be just ‘prepared’ for a quick sale. test drive: and inspection of the car, from all angles, of all systems and subsystems of it, both as a whole and individually; if you have a trusted mechanic, buy him/her a six pack of beer and bring them along; if not, use this checklist that you can print and bring along for each of the vehicles you’ll be testing. Note that this is not an exhaustive checklist by any means. There are additional tests you can perform at no cost to either you or dealer to check more fundamental things, like wheel alignment, body being intact and fairly symmetrical, engine performance, etc. the car’s ownership record must be clean, no liens on it, not declared stolen etc. This is what I recommend doing eventually. However, if there isn’t enough supply of the make/model combos(which you’ve narrowed down in Part 1) that you’re after in your local market (or within driving distance), you should definitely consider used car dealerships as well. bring someone with you, preferably 1-2 friends. That will deter opportunity nasty business from your seller. 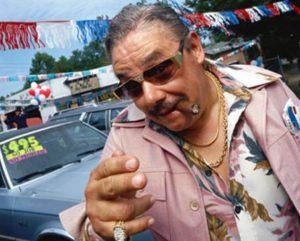 Now, armed with all this information, go forth and get yourself an awesome used car. Enjoy the magnificent benefit of having paid half price. For arguably the same car your friends the Joneses are now in debt for 7-10 years over. For the double the money you paid for yours. Fun! By the way, feel free to disagree in the comments section. Or let me know if I missed anything.